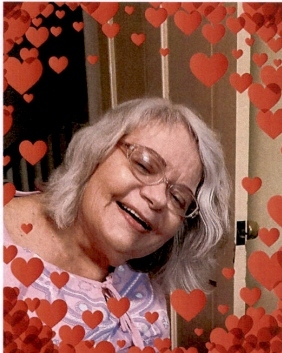 Suzanne Lynn Mattern, 61 of Kissimmee, Florida passed away peacefully on Monday, February 11, 2019. She was born in East Liverpool, Ohio and moved to Kissimmee, Florida in 1984 from East Liverpool, Ohio. She was a former food service worker and briefly worked Walt Disney World. She was a protestant by faith. Suzanne was a wonderful aunt to all of her nieces and nephews. Suzanne is survived by her parents: Richard K. and Eula Mae Mattern of Kissimmee, Florida; brothers: Richard K. Mattern Jr. of East Liverpool, Ohio, Larry W. Mattern (Lissette) of Kissimmee, Florida, and Jeffrey A. Mattern (Kaye) of St. Cloud, Florida; sisters: Dorothy E. "Betsy" Woessner of Orlando, Florida and Tanya L. Lewis (Mark) of Windermere, Florida; Several nieces, nephews and cousins. The Mattern family is being cared for by: CONRAD & THOMPSON FUNERAL HOME AND CREMATION SERVICES, 511 Emmett Street, Kissimmee, Florida 34741; 407-847-3188.